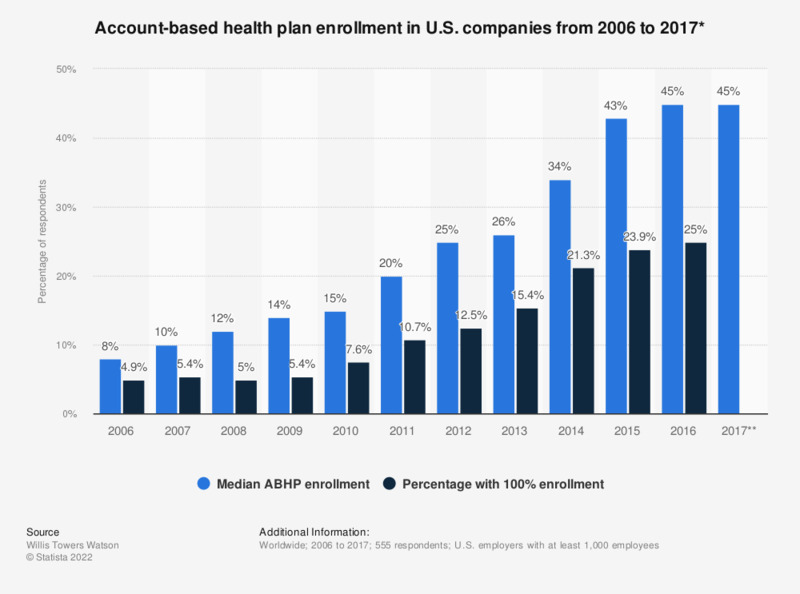 This survey represents the account-based health plan enrollment of U.S. companies from 2006 to 2017. In 2012, the median account-based health plan (ABHP) enrollment amounted to some 25 percent, while there were 12.5 percent with 100 percent enrollment. Respondents collectively employ 11.8 million full-time employees and operate in all major industry sectors. * Estimated. No data for 100% enrollment.